On Friday afternoons observant Jew face a different deadline than their gentile colleagues, they need to be home with their families before sundown and the beginning of the Sabbath. It's not just a matter of being home for the holiday, we Jews believe that just as God rested after six days of creation, on the seventh day of each week, Jews are commanded not to work or do 39 other activities which relate to "creating." 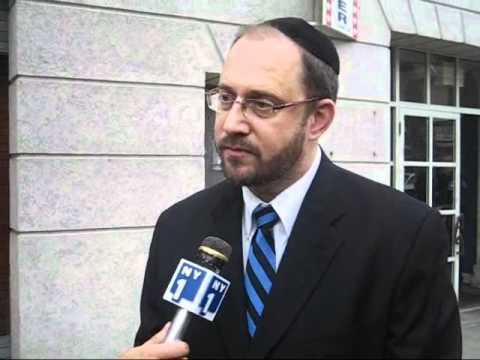 Democrats in the NY State Senate tried to take advantage of the Jewish Sabbath, by delaying a vote on an abortion-rights amendment till the Jewish Sabbath so Brooklyn Sen. Simcha Felder, an Orthodox Jew and fellow Democrat, wouldn't be able to vote. But they didn't count on Felder getting advice from his Rabbi. I really appreciate this person's commitment to his faith. I also cannot believe just how much of a game the other Senators are willing to play to further their agenda. They are showing just how much of their humanity is gone.